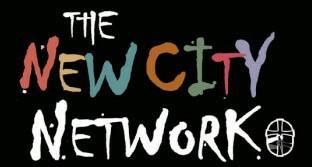 The New City Network welcomes you to its Conference on Economic Justice, to be held January 29 and 30, 2019, at New City Fellowship (Glenwood), Chattanooga, Tennessee. Christians need an understanding of justice, not just for themselves but for the community they live in, their neighbors, the people of the church and in the world. Come hear biblical presentations by Dr. Darryl Trimiew, Michael Rhodes, Robbie Holt, Kevin Smith, Randy Nabors and more. This conference will deal specifically with economics. Visit www.thenewcitynetwork.org for more information and registration. If you need housing, we would be glad to host you in a home of one of our Chattanooga families! Space is limited and granted on a first-come, first served basis. To book a hotel, use New City Glenwood's address, 2412 East 4th Street, Chattanooga, when searching for nearby hotels.